Why do tacos get to have ALL the fun? 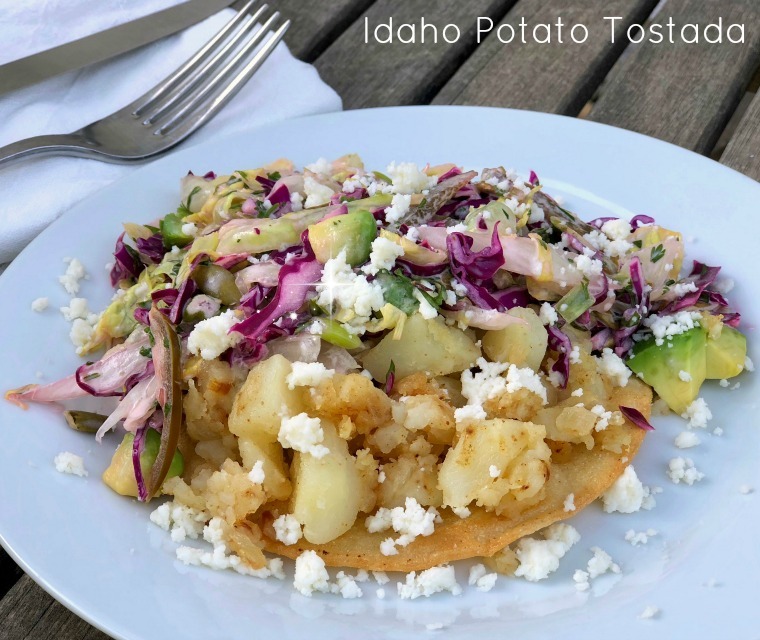 But please, consider the Tostada and this Idaho Potato Tostada in particular. It’s flavorful, filling, crunchy and fresh. Aside from all that, wouldn’t Tostada Thursdays be so totally fetch? Stop trying to make fetch happen. It just isn’t going to happen. That could totally be a thing. Serves 2 entree or 4 starter tostadas. 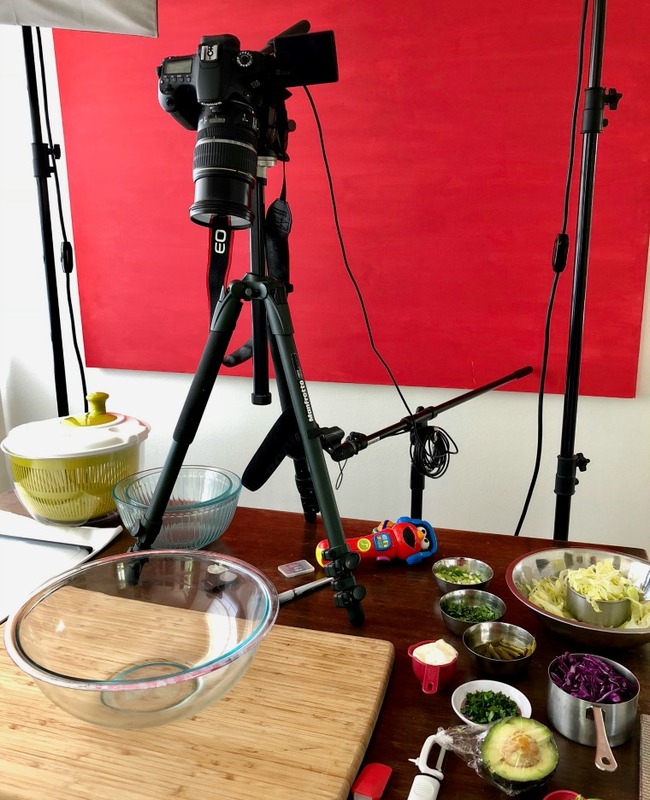 Watch the How to Make Potato Tostadas Video on YouTube for added instruction and entertainment — and don’t forget to SUBSCRIBE. 1) Peel and dice potato and cook until al dente. Over high heat in a medium saucepan, cover the potato pieces with water and bring to a boil. Reduce the heat, cover the pot with a lid and cook 7-10 minutes, taking care not to over cook. Drain the water from the potatoes. 2) In a skillet over medium heat, combine caramelized onions with potato pieces and season with cumin, chipotle, salt and pepper – or to taste. Run a masher through the potatoes and allow them to cook through. Sprinkle in some cotija cheese and keep warm until ready to build the tostadas. 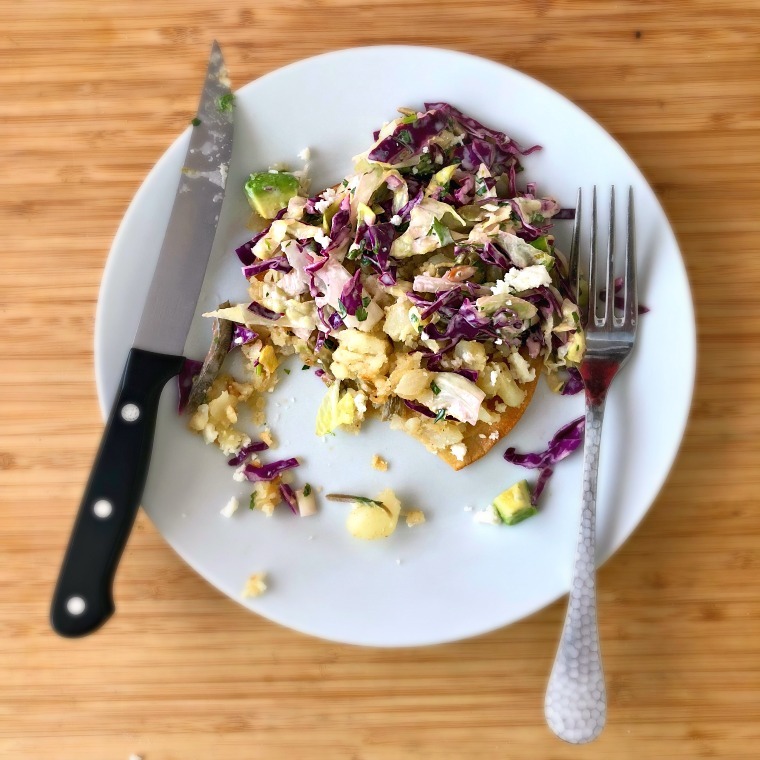 3) Make the slaw. 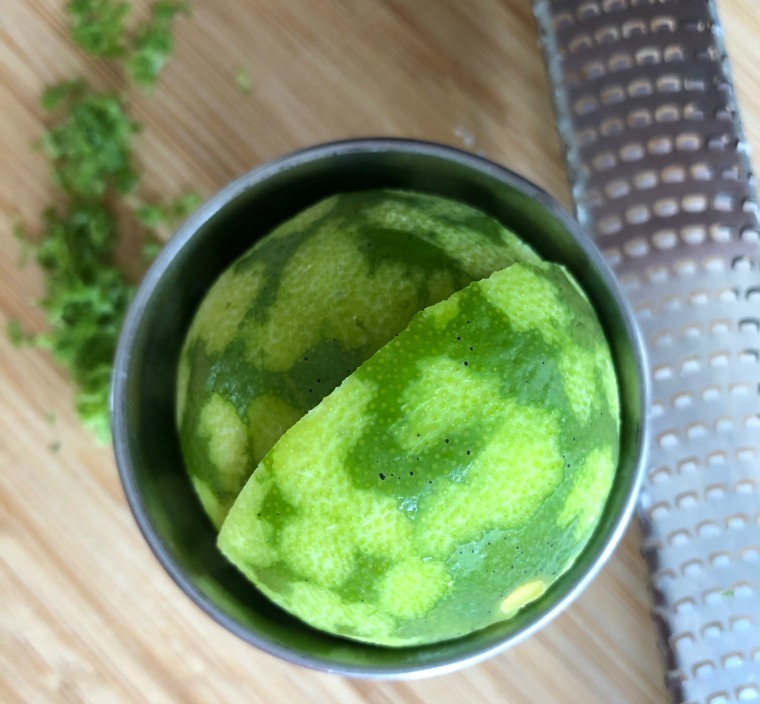 In a large bowl combine mayonnaise, lime zest, lime juice and salt. Whisk well and add cilantro and parsley. Add the cabbage, lettuce, green onion, and jalapeno and toss to coat. Gently toss in the pepitas and avocado pieces. Keep cold until ready to serve. 4) Prepare the corn tortillas by frying in oil or baking in the oven. 5) Build the Potato Tostadas. Place a corn tortilla on a plate and top with potato mixture. Top the potato mixture with slaw and a little more cotija cheese. Enjoy immediately.